David Lambert is Professor of Geography Education at University College London Institute of Education (UCL – IOE). Obtaining his BA from the University of Newcastle in 1973 he went on to his post graduate professional training at the University of Cambridge. He was a secondary school teacher for twelve years, becoming a deputy principal of a comprehensive school. He became a university teacher-educator from 1986, developing research interests in curriculum, pedagogy and assessment in geography education. His school textbook series Jigsaw Pieces published by Cambridge University Press won the TES school book of the year award in 1991. Receiving his doctorate in 1995 from the University of London, he rose to become Assistant Dean for teacher education in 1999. He left temporarily the academy in 2002 when he was appointed full-time chief executive of the Geographical Association (GA) (www.geography.org.uk). He returned to the IOE as professor in 2007 and was awarded the Royal Geographical Society Taylor Francis Award for leadership in geography education in 2015. Recent books include Knowledge and the Future School (2014), Learning to Teach Geography (3rd Edition, 2015), and Debates in Geography Education (2nd Edition, 2017). 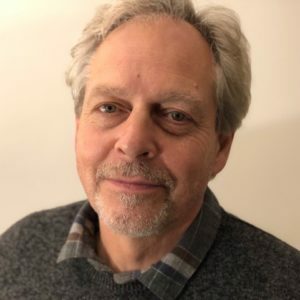 He chairs the Editorial Collective of Geography and serves as Associate Editor of International Research in Geographical and Environmental Education. He led the European Union funded GeoCapabilities project from 2013-17 (www.geocapabilities.org). "The Anthropocene, Freedom, Geography, and the Future"
Geography is taught to children and young people in schools all around the world. Although the particular form geography takes - and even the definition of the subject - varies considerably form place to place we can agree that it is the school subject that introduces children to the Earth as an object of study. This talk explores the significance of geography’s place on the school curriculum. It introduces the capabilities approach to geography education and references the international Geocapabilities project (www.geocapabilities.org) which started in 2011 and in 2018 is just entering its third phase. The talk explains capabilities as a productive means to think about geography’s value and potential as a subject of study - particularly in ’this day and age’. It goes on to outline the main theoretical resources from which the project draws, notably ‘powerful disciplinary knowledge' and the ideal of creating a 'future 3 curriculum. Future 3 is not a new set of rules or procedures, but an expression of the ambition of well-prepared teachers to create a high quality and powerful geography curriculum for all the students they teach.